To provide a free bus service for senior citizens and physically disabled members of our community, thereby helping to alleviate isolation and loneliness as well as enhancing independence and quality of life. 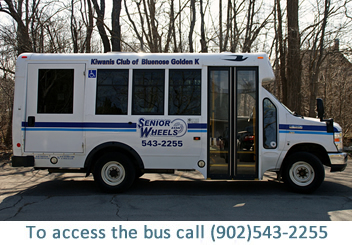 The Senior Wheels Association provides a free bus service to seniors 60 plus years of age and disabled persons regardless of age. The Association owns a nine passenger bus that is wheel chair accessible. Area of operation is the Town of Bridgewater and a seven kilometre radius from the Town boundary in the Municipality of the District of Lunenburg. We are located on the beautiful South Shore of Nova Scotia. The thirteen member Board of Directors that oversees the operation of the Association, is made up of men and women who bring a wealth of experience to the table. Meetings are held on the third Wednesday of each month at the Bridgewater Fire Hall, upstairs meeting room, on Dominion Street. Our bus drivers are all fully trained volunteers, and we are pleased to report that we now have two lady drivers. The need for drivers is on going. Interested in becoming a driver? Contact us and lets talk about it. All the drivers and the members of the Board of Directors are especially dedicated volunteers who care deeply for the welfare of our senior and disabled citizens who have no other means of travel to look after their day to day needs. 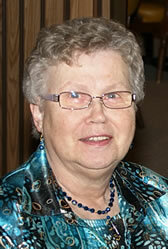 I hope you enjoy browsing the following pages for more information about our Association.